Who goes to museums just to see art anymore? In LA, it's more like fashion, food and fun! Patrons learning the flamenco at Dance Sundays at The Wallis. The sheer size of Los Angeles makes it a city of multiple Main streets. The gravitational pull of these public meeting places is part of LA’s DNA and has inspired a number of cultural institutions to entice a bigger slice of the public to gather and experience the unexpected. And, well, there’s always the art too. 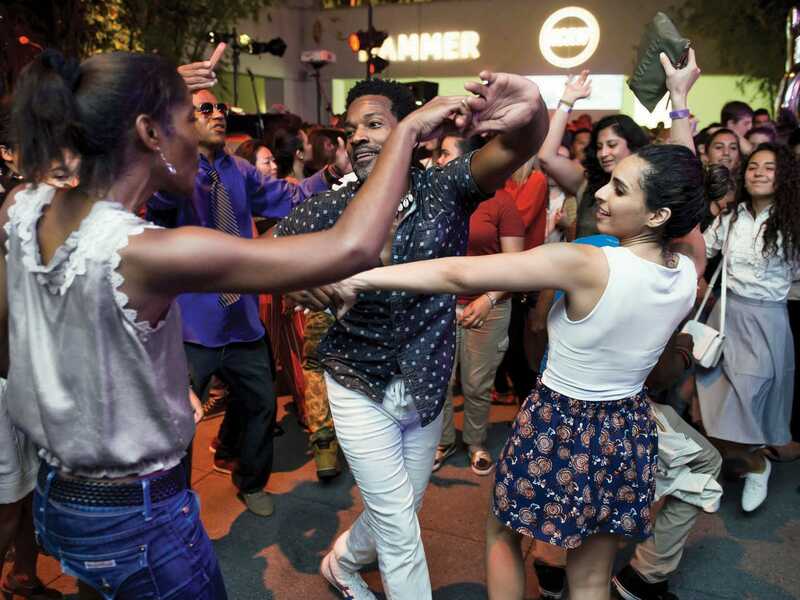 From fashion to fine dining to the joys of dance, LA is remapping the museumgoing experience. Ever since Debbie Allen launched Dance Sundays, this unique, free program has introduced thousands of would-be dancers to salsa, African, tap and hip-hop, adding a special spice to The Wallis’ (thewallis.org) noteworthy film and performance programs. “Cities around the world have public squares [where] people gather to experience artistic and intellectual life,” says Allen. 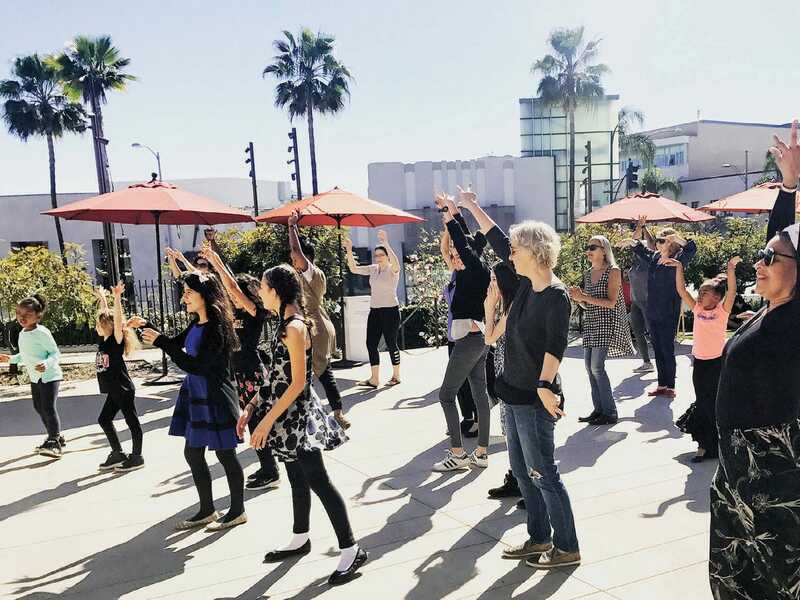 “I knew that dance could be the impetus to start that at The Wallis and expand the footprint of Greater LA participating in the arts.” It’s also a good workout—celeb included! The artful exterior of The Restaurant at The Getty Center. 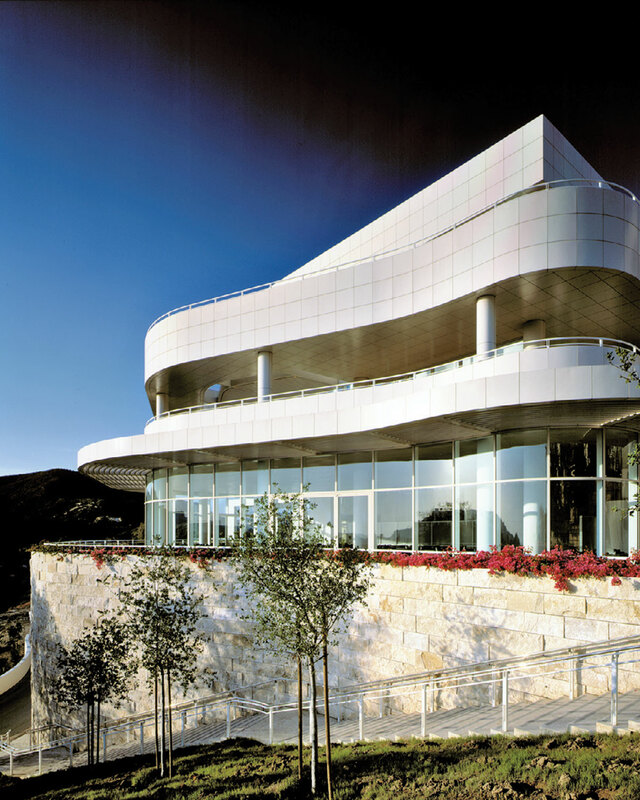 A world-class art collection, incomparable views and stunning architecture (by Richard Meier) make The Getty (getty.edu)—the richest art institution in the world—a modern legend. It’s also a fine dining destination where the SoCal-centered fare at The Restaurant is an artistically conceived feast for the senses. “The cuisine celebrates ingredients grown or raised on Southern California farms and caught off its shores, and features only California wines,” says museum VP Ron Hartwig. “The culinary team creates very special experiences.” And you can always enjoy a Van Gogh or two for dessert. Already “celeb-rated” for its glittering film events, LACMA (lacma.org) now extends its chic factor to fashion. Wear LACMA has partnered with local designers such as LFrank, THEGREAT., Gabriela Artigas & Company, and Rene Holguin of RTH, which create limited-edition pieces based on works in LACMA’s permanent collection. “I love the way designers see the world,” says Katherine Ross, founder of Wear LACMA. “I wanted to create a project to celebrate designers in Los Angeles and share how they found inspiration at the museum.” Who needs Rodeo or Robertson when you have LACMA’s gift shop? From dawn to dusk, LA’s Hammer Museum offers much more than just its masterpieces. Since opening in 1990 to house mogul Armand Hammer’s prized art collection, The Hammer (hammer.ucla.edu) has become a de facto Westside clubhouse that hosts more than 300 free public programs each year. “The Hammer is a place where Angelenos can build a real sense of community through shared experience,” says museum director Ann Philbin. “In a city with so many talented, smart and interesting people with so few ways to connect, I think spaces like the Hammer are really important.” LA’s culturegoers apparently agree... plus, their film nights rock!